Jay Z says he was straight with Beyonce and dealt with his infidelity head on to save his marriage, because she was his soul mate and it was definitely worth fighting for. 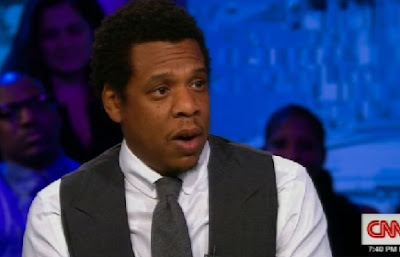 Jay appeared on CNN's Van Jones show Saturday night where he said issues like infidelity have to be addressed head-on, and if they're not the marriage is going to blow up. He says, "For us, we chose to fight for our love, for our family, to give our kids different outcome, to break that cycle for black men and women." The famous couple hit up Clive Davis' pre-Grammy party Saturday night ... and there's little doubt their marriage is now strong. » Battered Woman Whose Hands Were Hacked Off By Husband Says "I Stayed To Save My Marriage"